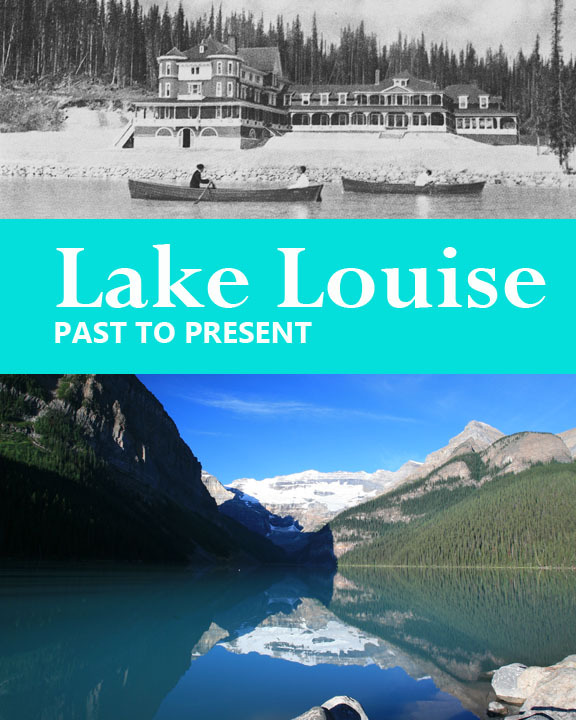 Announcing the release of our latest book, Lake Louise Past to Present, which is now available from retailers throughout the Canadian Rockies, as well as from major online book retailers. This 128-page book includes the most detailed and well-researched history of Lake Louise ever published. Of course, we tell the story of the Fairmont Chateau Lake Louise, but the main focus is on the lake itself, the village, the establishment of the tourism industry, skiing and mountaineering, and modern times. It also includes a colour map, a photo gallery showing the evolution of the Chateau Lake Louise, and another gallery dedicated to a variety of paintings and photography stretching from the 1890s to present-day.